Do you speak in front of international audiences? You are preparing your presentation in English language? This seminar “Best of International Presentations Excellence” will provide essential presentation criteria of intercultural communication. To prepare your speech, you will be stimulated with many practical exercises. In addition, you will learn from the best speakers around theworld. You will also receive excellent feedback for your personal presentation. YOU LEARN:1. Know how to prepare for successful presentations,2. 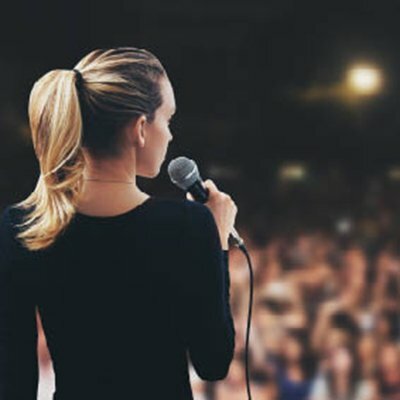 Know and apply presentation techniques for successful speeches,3. Connect closely to your audience while speaking,4. Ability to use common English phrases,5. Know how to support content with vocals and body language. You should have a good command of English speaking skills. Dieses Seminar kann auch als Inhouse- bzw. Corporate-Training gebucht werden. Bei Interesse nehmen Sie bitte Kontakt mit uns auf.